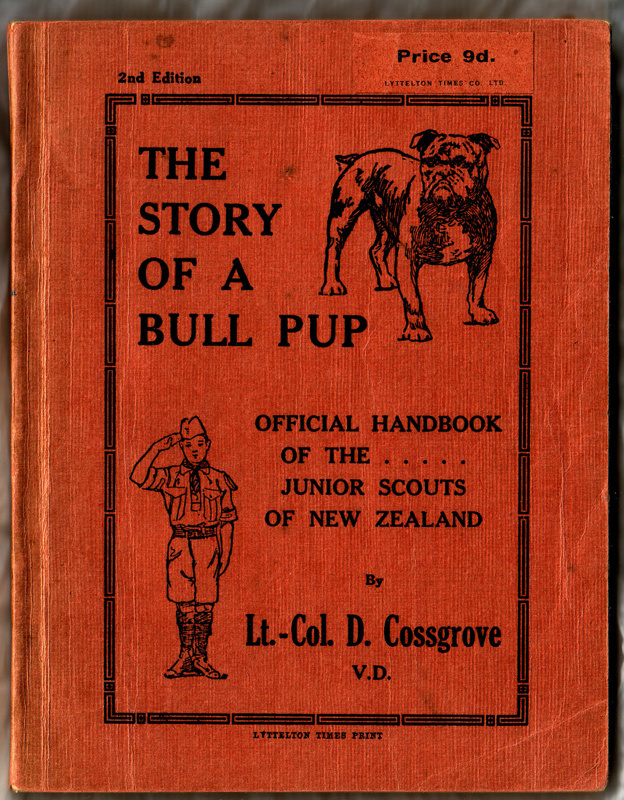 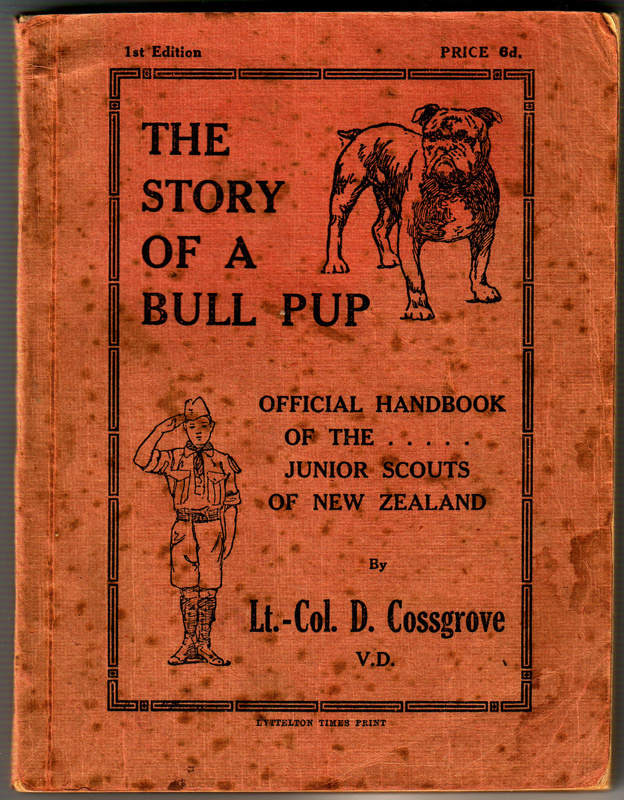 A handbook for junior Scouts, know in New Zealand as Bull Pups, written by David Cossgrove. 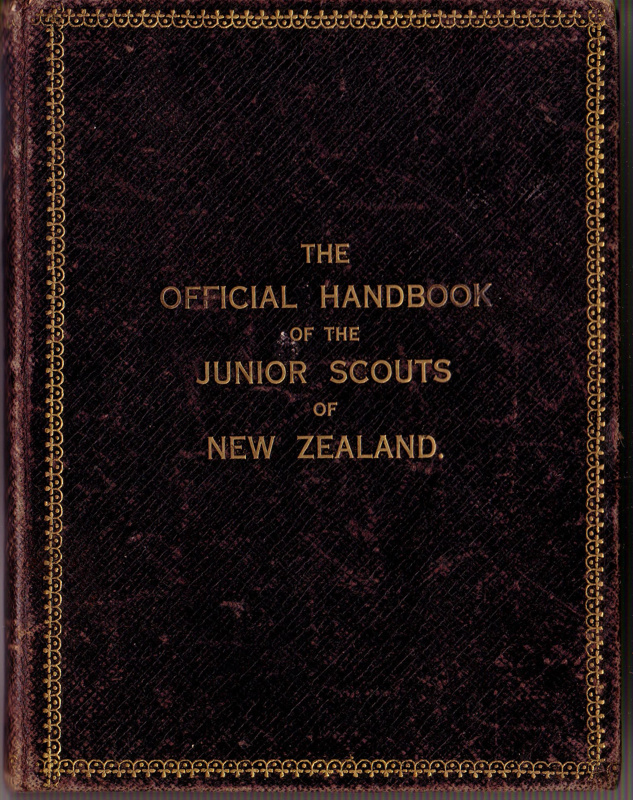 We have two editions, the difference being on the top left of the cover, as well as the price. 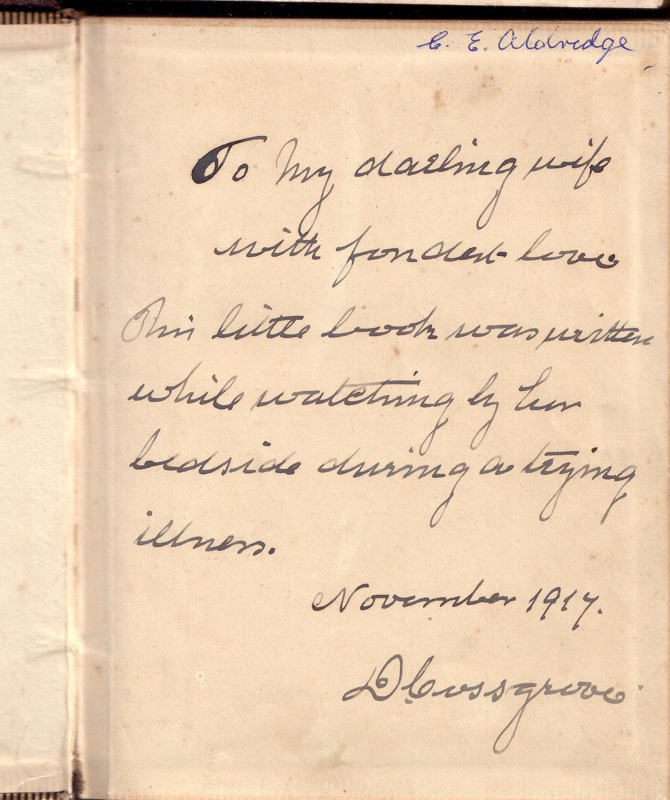 The first edition copy is not in the best of conditions, but in the flyleaf it is inscribed and signed by the author ! 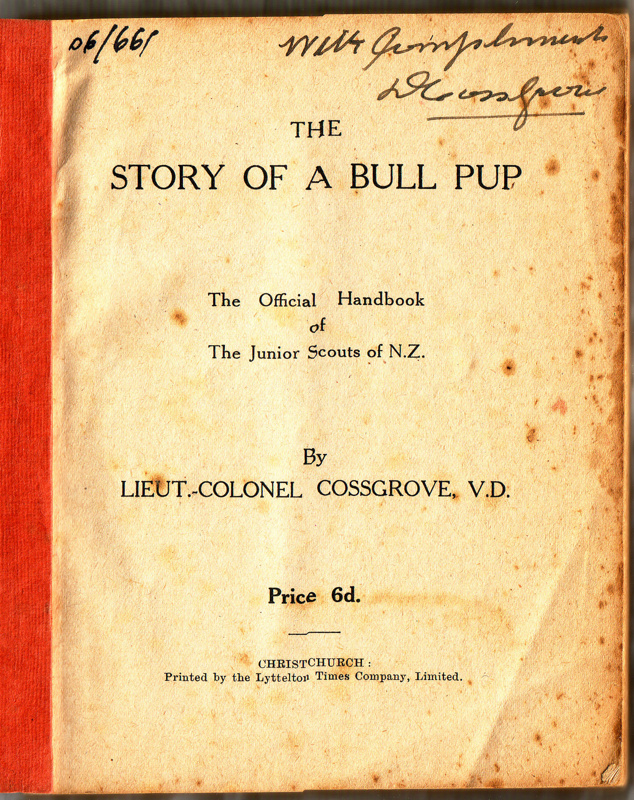 Here in New Zealand, Bull Pups existed prior to Wolf Cubs being formed by Baden-Powell in England and it was not until 1923 that the Cossgrove inspired Bull Pups were changed to Wolf Cubs, and later still Cub Scouts. 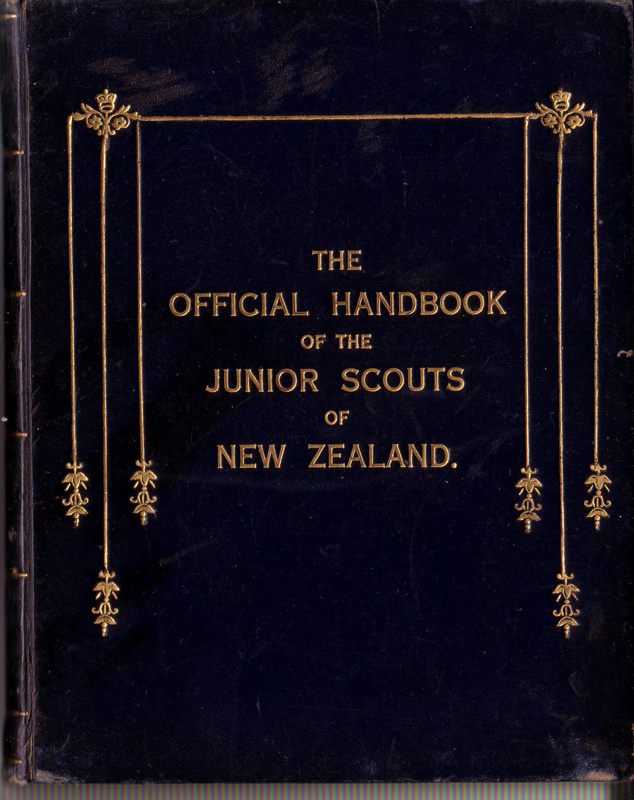 We also have two presentation copies, printed on much better quality paper and leather bound. 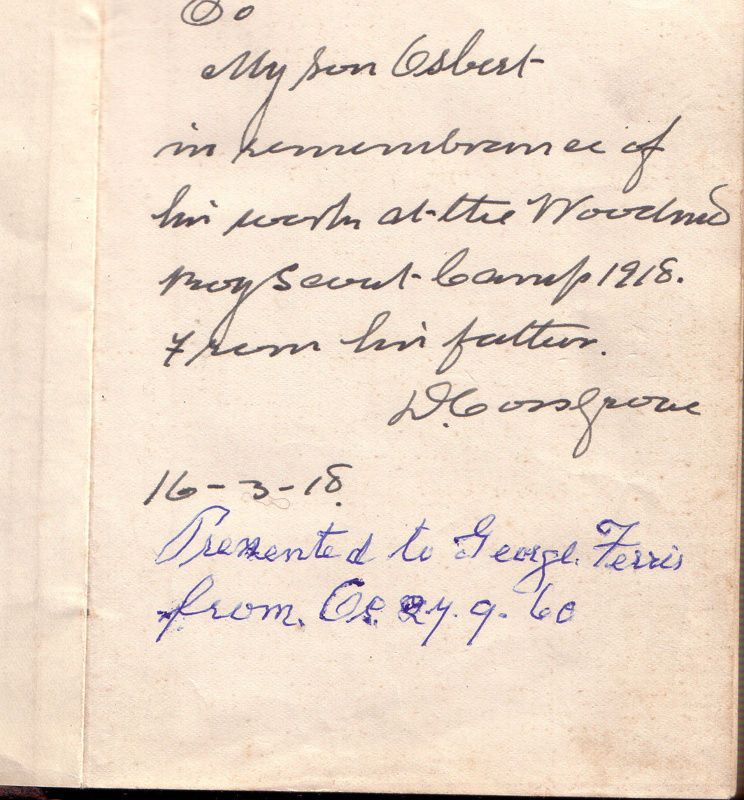 One has a frontispiece dedication from cossgrove to his wife, the other to his son Osbert, for his work at a 1918 Scout Camp at Woodend.